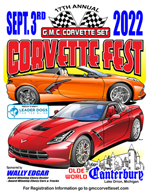 We donate the proceeds of the Corvette Fest, and 100% of the Silent Auction sales. Click here for more information about the Leader Dogs. During the day, you can browse the many interesting shops on the Village grounds. Click here for more information. Visit the Club Tent for the details of the day. 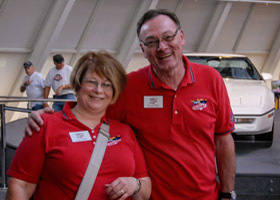 We serve 'Corvette Fest' cake in the early afternoon at the Club Tent. We present award trophies for First place and Outstanding for the judged Corvettes in each class at the Afternoon awards ceremony.